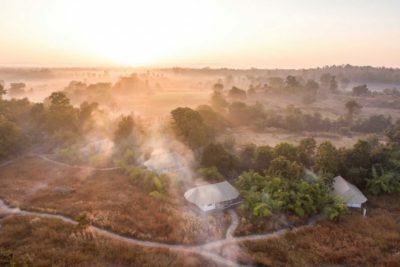 Pench is part of the Project Tiger network of special reserves and one of the most accessible tiger reserves in the country, at just 90 kilometres north of Nagpur. 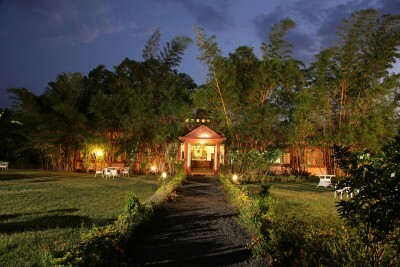 It is also one of the most beautiful of the tiger parks with mature teak forests, rolling hills and the central Pench River from which the park gets its name. Descriptions of its natural beauty and richness of flora and fauna have appeared in numerous wildlife books dating back to the 17th century. Books written in the 19th and early 20th century by famous naturalists like Captain J. Forsyth explicitly present the detailed panorama of nature’s abundance in this precious forest tract. There are around 54 tigers in the park and sightings are not always as regular as the nearby parks of Kanha and Bandhavgarh. This means that the park receives fewer tourists than its neighbours and game drives are focussed more on seeing the general wildlife of the park such as leopards, sloth bears, wild dog, barking deer and more than 170 species of bird.